For Advanced Divers Only.... 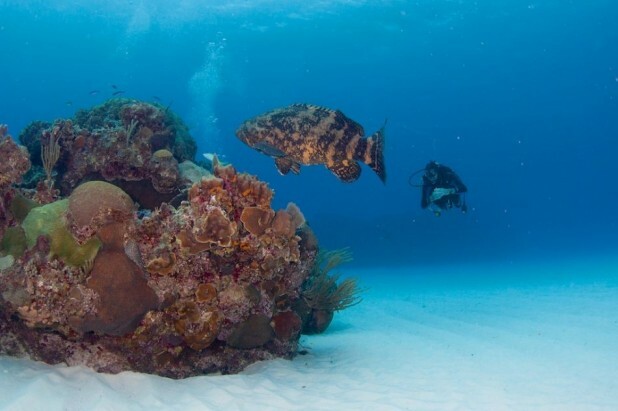 Dive an undisclosed location with your crew to navigate point-to-point along the Cayman Trench for a one-of-a-kind experience. This dive gives maximum time on the edge of the wall, giving the greatest chances for seeing the big stuff, including "Mr.X". A One way ticket to dive the Cayman Wall, no back tracking, just keep on going until you reach the rendezvous point with the dive boat. By not having to turn back half way through the dive you end up seeing twice as much of the wall, which means double the chance of seeing whatever it is you are looking for. This is a guided dive for navigational purposes and the dive boat follows your path above and meets you at the final location at the end of the dive. This is not normally a drift dive, but on occasion there can be current and in those cases your Divemaster and group would always go with the current flow direction. The X-Dive is highly recommended for divers who think they have seen it all. Other rental gear: BCD, Fins, Mask, Wetsuit, Regulator, Instruments, Dive Computer, Nitrox tanks, Camera. Transportation to and from your hotel to the departure point in East End is not included. You will need a rental car or taxi if you are not staying in the East End district. Gratuities Not Included. Open Water Certification or higher is required to participate in this activity. At least 1 prior dive is required with Ocean Frontiers on this visit to make this dive. If this is your first dive of the trip you will not be permitted to dive in the interests of safety and customer satisfaction of other divers on board. If you are certified and have not dived in the last 24 months you will be required to take a Refresher Course or Orientation Dive prior to this trip for an additional fee.